About a year ago, I discovered a passion for combining illustrations with words. So I decided to start playing and see what I could come up with. I never, ever, had as a goal to write a children’s book, but I sat down in a coffee shop one day and sketched out the whole book in one sitting. It’s changed quite a bit since then, but the overall concept as well as the beginning and the end have remained the same. Just goes to show that sometimes you don’t always plan the path that you’ll go down. Sometimes, you just have to be open to whatever comes. The whole process of writing this book—from the idea all the way to the publication—has been a big reminder to me that all you have to do is trust yourself, listen to your own intuition, say yes if that’s what your intuition is telling you to do, show up, do the work, and see how it goes. Turns out that designing and writing this book was just what I needed to help heal a few things that were struggles for me. This book gave me permission to have fun with it, helped me relax, and brought me joy all at the same time. There was no pressure, stress, expectation, and a myriad of other things that we all deal with on a daily basis. There was just me . . . playing. Leave Me Alone is about friendship and how sometimes we don’t realize what we’re doing to push people away. It’s also about how to bring people closer and being honest about what you need. So while it’s geared toward grades K-2, I still think it’s a message we all need to be reminded of sometimes (myself included). 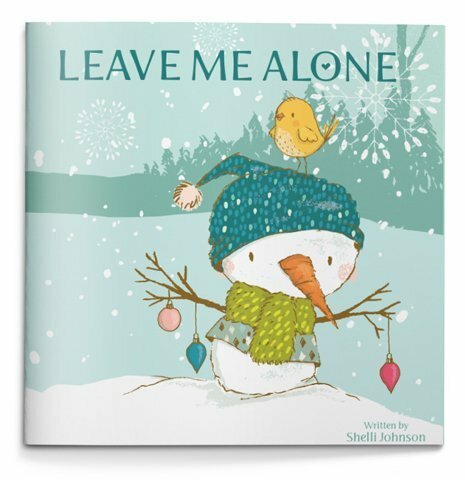 You can find Leave Me Alone (book and ebook) on Amazon by clicking here.